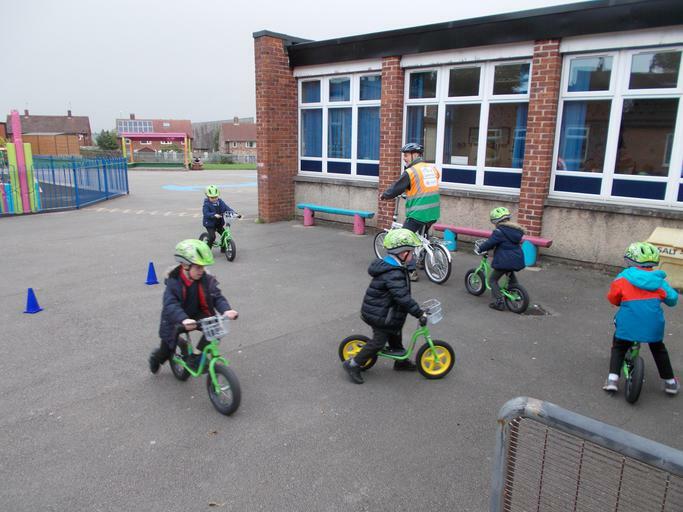 Year 1 children are having the opportunity to take part in exciting cycling activities with the Cycle Leeds Team, as part of the Leeds Bikeability Plus programme this week. 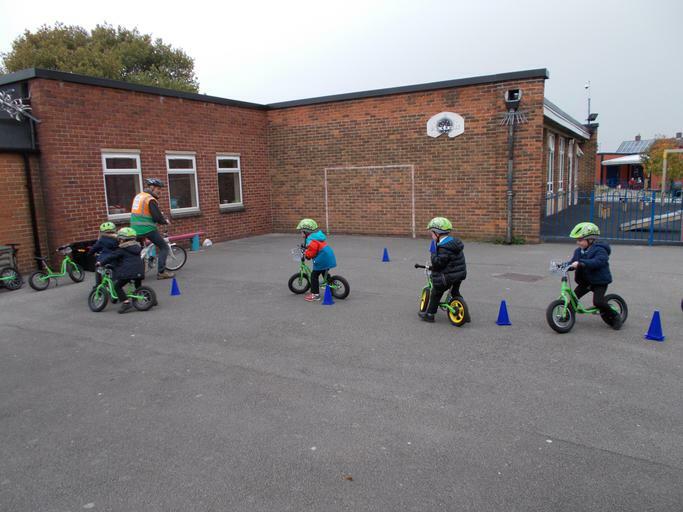 Specialist instructors will be in school leading Balance Bike and Learn to Ride sessions from Monday 16th October through to Friday 20th October. Children will start out on special pedal-less balance bikes and take part in a series of fun activities aimed at building the confidence, spatial awareness and dynamic balance skills that will help your child to cycle. 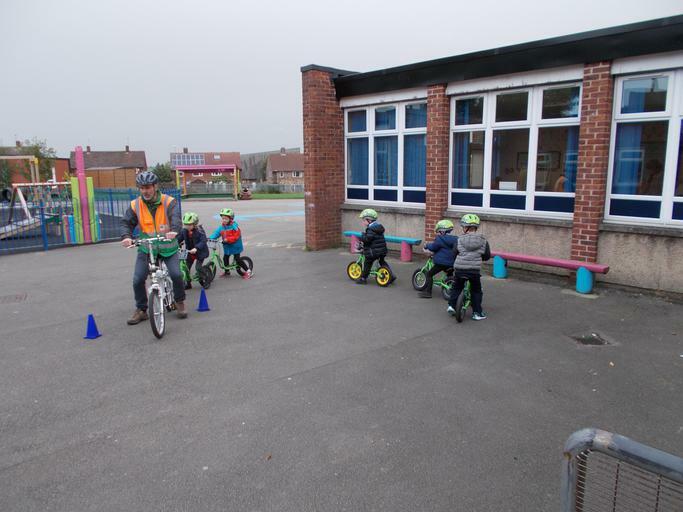 When ready, children will then progress onto pedal bikes with an aim to learn how to ride their bike independently without stabilisers. 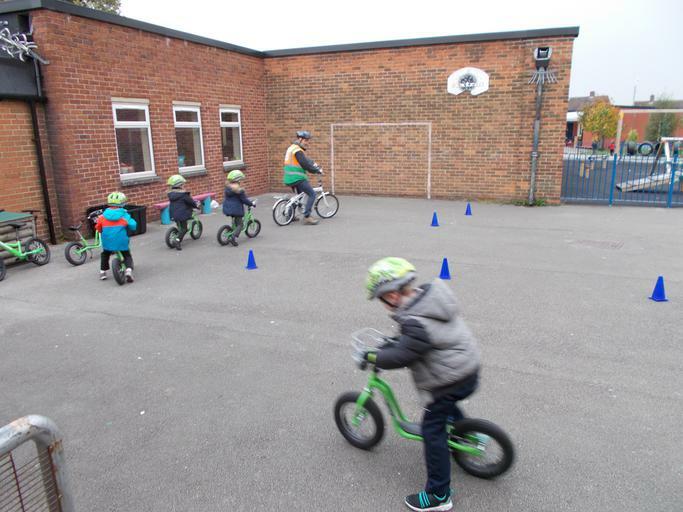 Children who can already ride their bike without stabilisers, will take part in a basic skills cycling session.